Robert Jackson is currently on the heart transplant waiting list at Tampa General Hospital, after over a decade of fighting his way there with GOD by his side. Robert is an amazing man of God and the strongest, most caring, giving, selfless man I have ever known. He has been battling numerous heart conditions for years now. Specialist after specialist, hospital stay after hospital stay, test after test and all kinds of procedures. Late last year, he was told he only had days to live. By the GRACE OF GOD, he is still here with us. This journey has not been easy and may have many more extremely challenging days ahead, but God has carried him this far. He is NOT giving up now! Robert has beat the odds and will continue to do so. The enemy has tried to throw road block after road block, everything from diabetes to lung cancer scares, but GOD IS IN CONTROL. The enemy will NOT win. This entire experience has brought our entire Family closer to God and there is no denying how REAL GOD IS. Robert’s current oral medications cost hundreds of dollars per month and we have been told by the hospital that they are going to be nearly 3X that amount once he receives a heart transplant and is placed on anti organ rejection medication. In addition, his frequent doctor/specialist/hospital visits are very costly, even with our insurance. The copays are $35 for each visit, PLUS the remaining balances of everything the insurance does not cover and deductibles, etc. Right now, the copays alone are costing over $400 monthly. If it is God’s will for Robert to receive a heart transplant, once he is released from the hospital, we MUST have someone with him to care and watch over him 24/7 for the first 3 months. 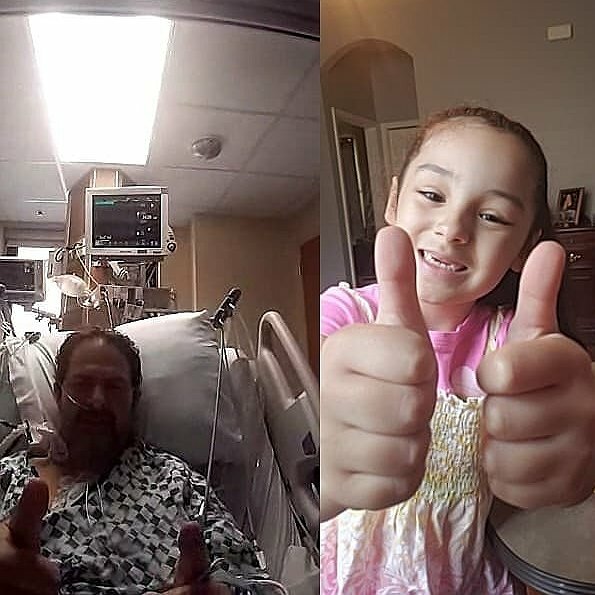 The visits to the heart specialist will increase in order for them to ensure that his body is not rejecting the new heart, in addition to more testing. I work full time, over an hour away from home. I have been doing everything possible to save up personal time (pto) and not miss work. Unfortunately, my pto is still very limited when you look at needing to be with Robert for at least 3 months, never mind after the 3-month mark, he will still need to have frequent doctors’ visits and testing. We do not have money saved for all of this. We need a miracle in our finances as well. I want to be able to know that Robert will be fully taken care of and not have to be in fear that we are going to lose our home, or car, job, insurance, etc. Will you help us spread the word any way possible? Word of mouth, social media, news/radio stations, churches… anywhere and everywhere please. EVERY SINGLE PENNY WILL HELP! Anything that you can give is a pure blessing. Family and friends of Robert Jackson are raising money for the nonprofit Help Hope Live to fund uninsured medical expenses associated with transplantation. Robert has chosen to fundraise for Help Hope Live in part because Help Hope Live assures fiscal accountability of funds raised and tax deductibility for contributors. Contributors can be sure donations will be used to pay or reimburse medical and related expenses. To make a tax-deductible donation to this fundraising campaign, click on the Give button.